We need your help in securing a dog park in our neighborhood! Each day, several dozen residents congregate at an empty grassy lot (adjacent to the Loree Grand Apartments) with their four-legged loved ones. This plot of land has become the definition of “community” — it’s how countless neighbors have met each other, building important and lasting bonds within the community. Given that this makeshift dog park will be developed into something else some day, we need your help in securing a permanent dog park for our community. In 2013, the D.C. Council voted to designate $50 million in public money to deal with a parks deficit in the NoMa area, after hundreds of residents wrote letters and more than 1,000 signed petitions. Key to this designation was a recognition that residents in the neighborhood were facing an onslaught of development with a bevy of new large commercial buildings — and with that, less parking, more traffic, and fewer open spaces. At a public NoMa Parks Foundation Community Meeting in June, several calls for a dog park in the immediate area were voiced. Aspirational plans for a minuscule “dog park” (approx 1,000 sq ft) at First & New York Avenue were met with disbelief. The park amenity should be created near the 20,000 residents in the broader NoMa neighborhood that were central to the BID’s “Case for Parks,” not at the northern border of the BID far removed from houses. Furthermore, the notion that pet owners would cross a busy/dangerous New York Avenue with their loved ones is illogical and calls into question the true commitment to address this need. We need your help to make sure that the $50 million in public money that we fought so hard for is used for the benefit of the neighborhood and the community, not merely as a tool to attract commercial and corporate interests. NoMa BID should work to leverage this initial public investment with additional private dollars to enhance the ability to purchase land IN our community. 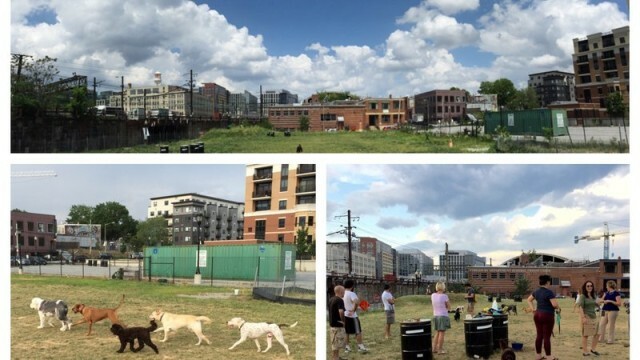 Please work with NoMa BID to find a solution that provides a dog park that meets the needs of our community. From the Forum – Any experience with DC Philanthropy/Fundraising?